Harmony allows you to assign your Favorite Channel number to a button on your remote so you may easily tune to that station. Compatible remotes also allow you upload your own Favorite Channel icon. In order to use Favorite Channels with voice assist, you'll need to first add them to your Harmony account. You can do so by using the Harmony mobile app on your iOS or Android device, or by using the MyHarmony desktop software on your computer. Favorite Channels require a Watch TV Activity type, this is not the same as Watch Smart TV, Watch Roku, or any other Activity renamed to read Watch TV. If you need more information on creating a Watch TV Activity, please follow the steps we've outlined on How to create a Harmony Activity. This example will walk you through the steps of creating a Watch TV Activity, which you're able to use with Favorite Channels. You may add up to 50 Favorite Channels for the Harmony mobile app. The Harmony app allows each mobile device to have its own set of personalized Favorite Channels. If you would like to factory reset your Favorite Channels, select MENU > Harmony Setup > Add/Edit Devices & Activities > Reset Favorites. Tap MENU, then Harmony Setup > Add/Edit Devices & Activities > FAVORITES. Enter your zip/postal code and click SEARCH. Your service provider may not appear exactly as expected. If your zip/postal code doesn't return any results, enter a neighboring code. If there are no service providers you may still enter Favorite Channels manually. Press > in the top right once you have selected your service provider. Select the star next to the Favorite Channels you'd like to appear. Popular channels from your area are selected by default. The All tab displays the full channel list for your service provider. The Favorites (star icon) tab summarizes your selection. You may filter by HD channels, or enter a keyword to search. You may click on a channel number to change it. Press > in the top right when complete. 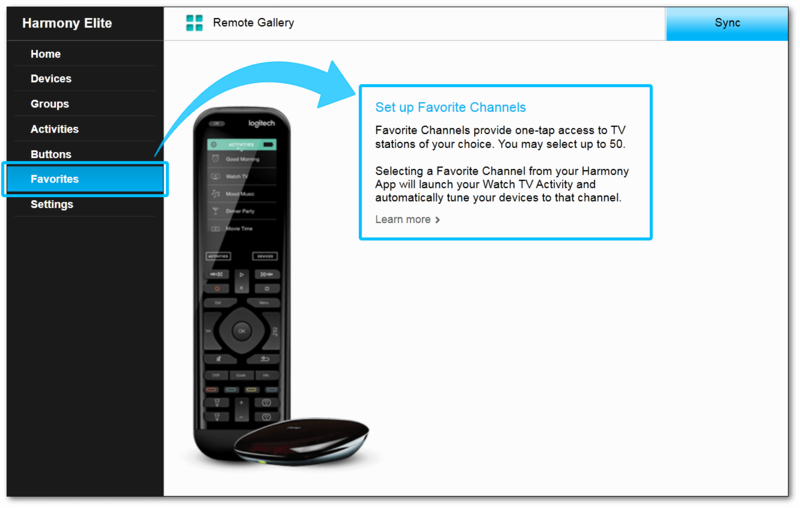 You may add up to 50 Favorite Channels for your Harmony remote, optionally adding a unique icon for each. 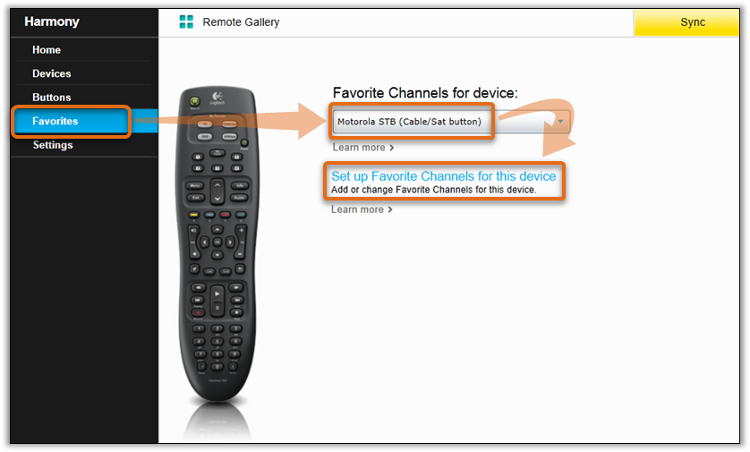 During first time setup of your remote you will be guided through these steps, beginning with step 5. 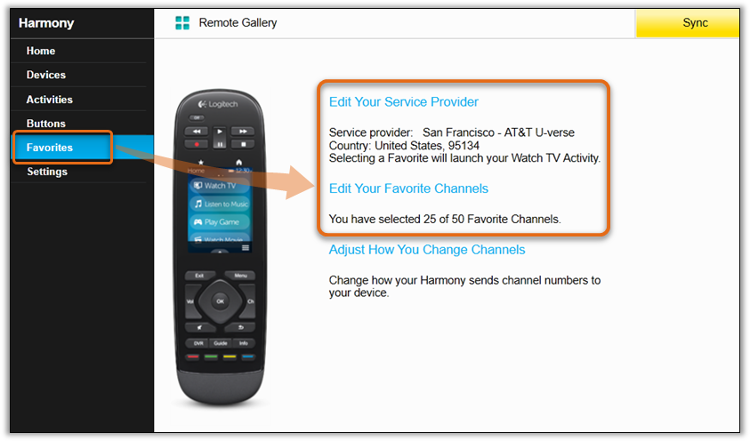 If you use a Harmony hub‑based remote and the Harmony mobile app, you may have a unique sets of Favorite Channels for each. Select the Favorites tab on the left side of the screen. 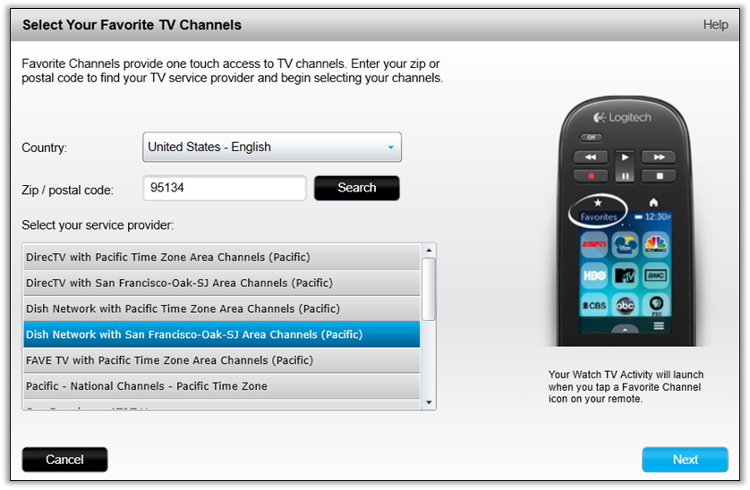 Click on the Set up Favorite Channels for this device link. If you have more than one Watch TV Activity, you will be asked to select the default Activity that Favorite Channels should be associated with. It is not possible to have different Favorite Channels lists for different Activities. If there are no service providers, you may still enter Favorite Channels manually. 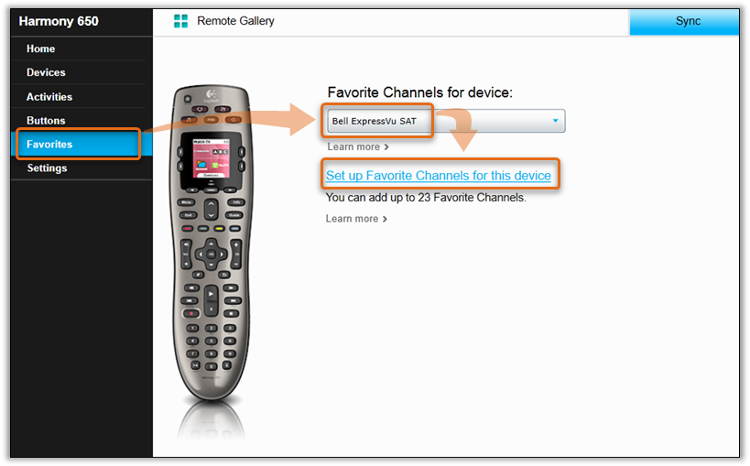 Select the star next to the Favorite Channels you'd like to appear on your remote. 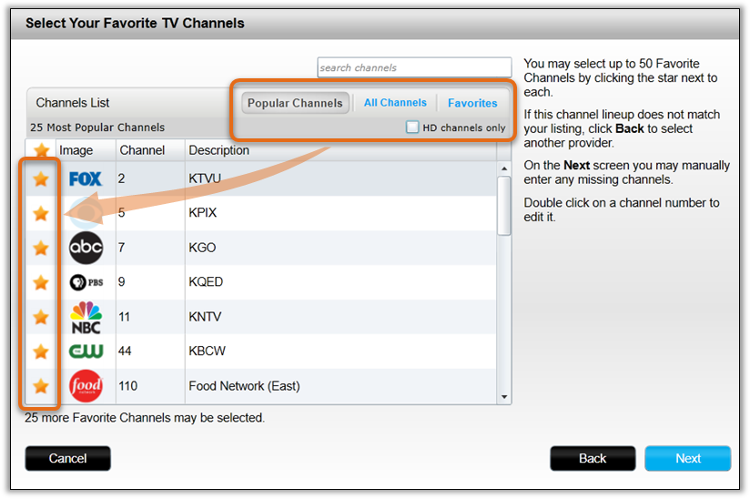 The Popular Channels tab is selected to show top channels in your area. 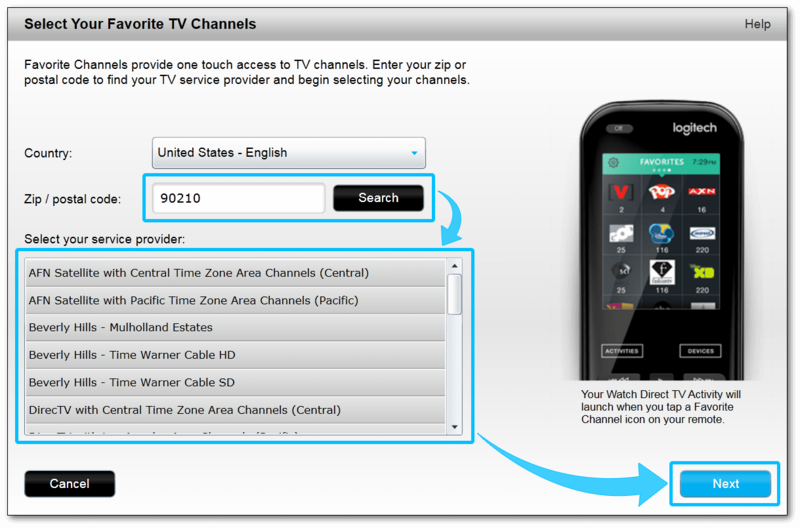 The All Channels tab displays the full channel list for your service provider. The Favorites tab summarizes your selection. You may double-click a channel number to change it. 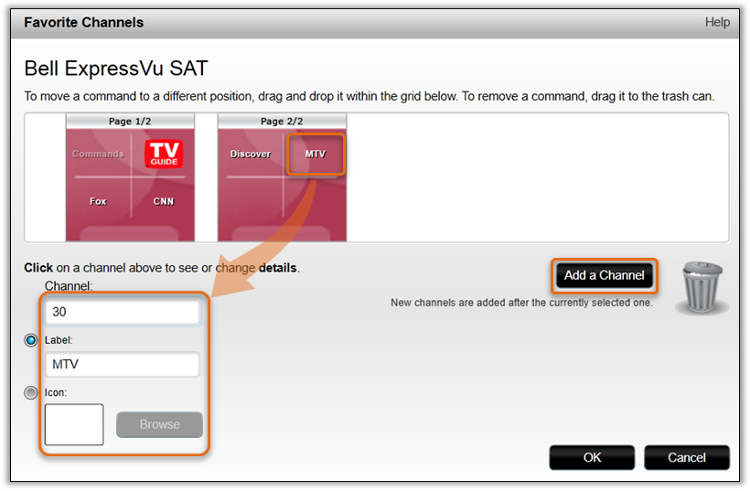 Finalize the list by re-ordering the icons, making channel modifications or adding additional channels manually. Drag and drop the Favorite Channels to re-order them. Drag Favorite Channels to the trash icon to delete them. 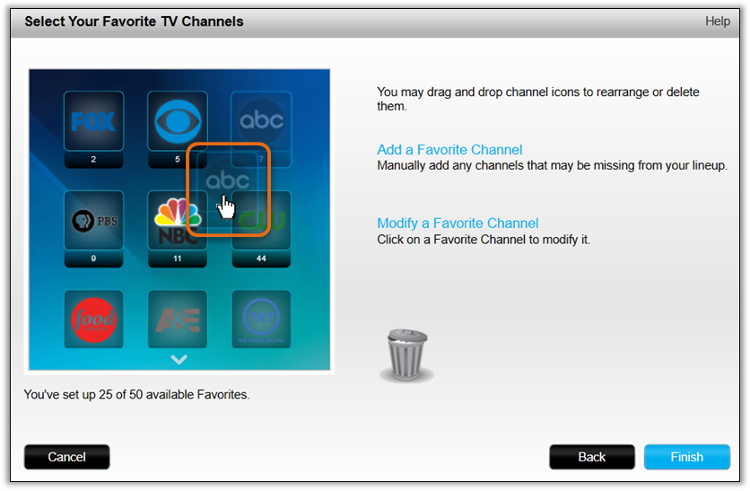 Select a Favorite Channel and click Modify to change its name or icon. 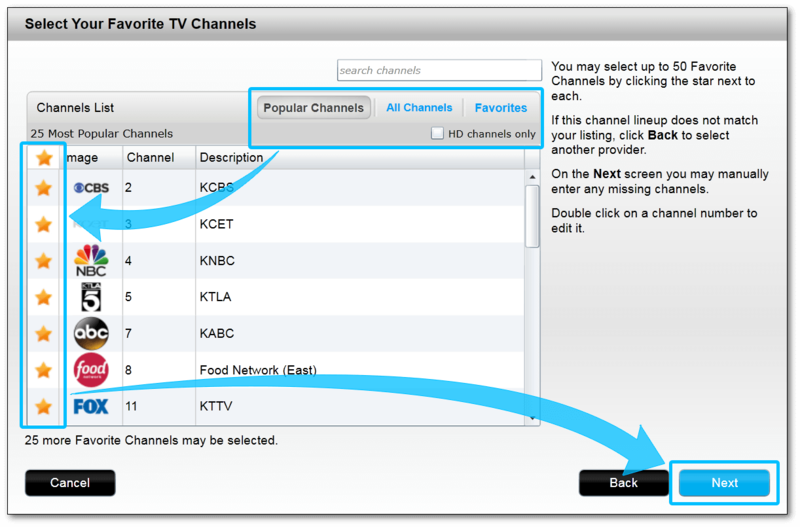 You may add Favorite Channels manually by clicking on Add a Favorite Channel. To edit an existing icon, or to upload your own, select the channel and click Modify. Tip: The optimal size for Favorite Channel icons are 54 x 54 pixels. jpeg, png and gif file types are supported. 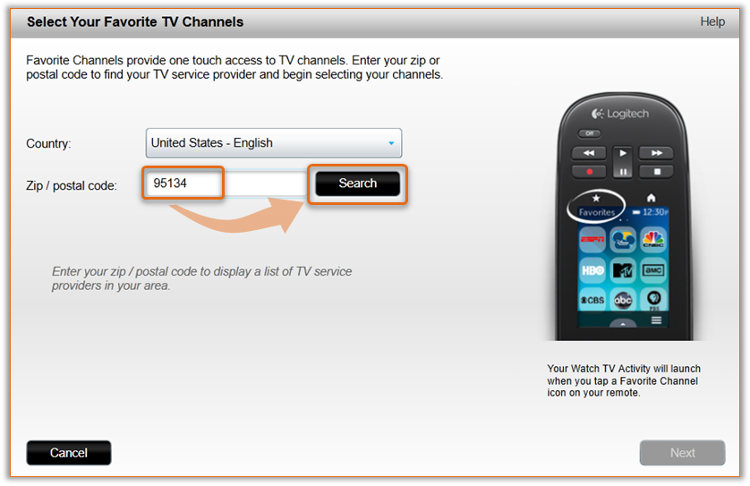 You may access your Favorite Channels by clicking the star icon on your remote control. If no Activities are running, selecting a Favorite Channel will first start your Watch TV Activity, then tune to that station. You may add up to 23 Favorite Channels for your Harmony 600/650/700. 650 and 700 remotes may also add a unique icon for each. 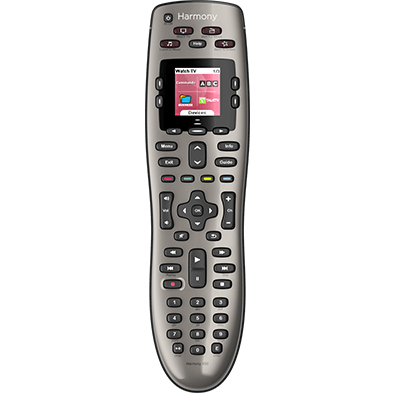 Select your Harmony 600/650/700 remote from the gallery. 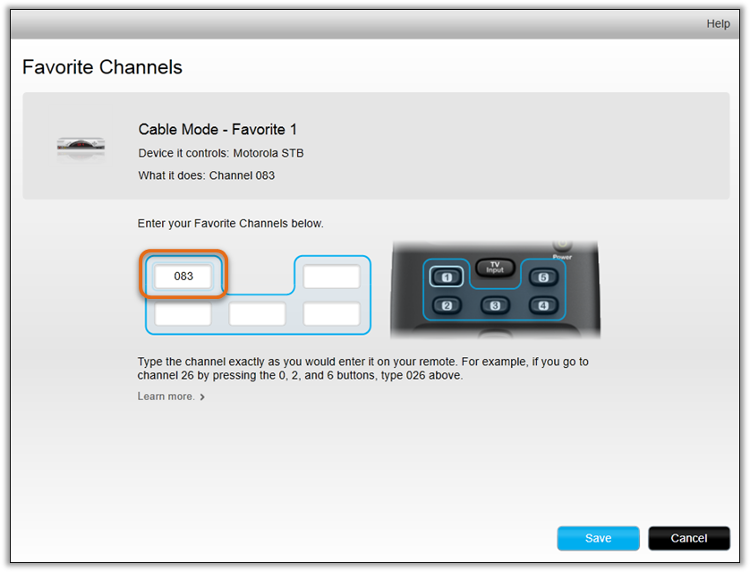 Select the device that changes channels from the dropdown menu. This will typically be your set top box or your television. Enter a Favorite Channel number. Enter either a label, or upload an icon. This will appear on your remote screen. Note: Harmony 600 remotes do not support icons. Drag a Favorite Channel to the trash icon in order to delete it. Drag and drop your Favorite Channels to re-order them. 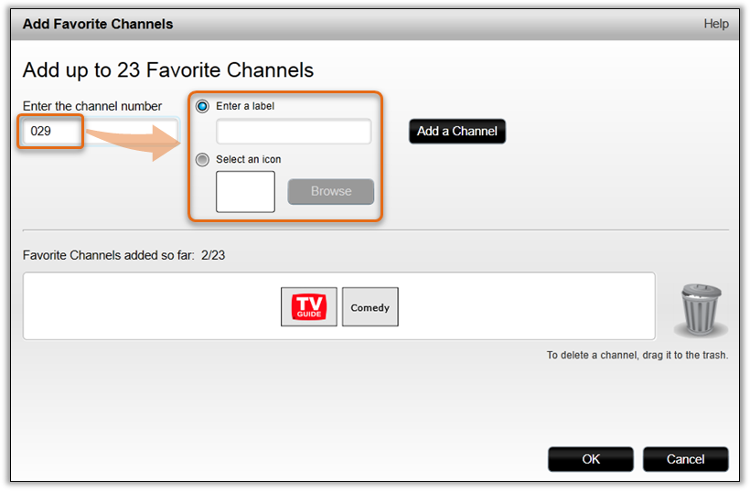 Selecting a Favorite Channel allows you to update the label, or upload an icon. You may access your Favorite Channels by starting your Watch TV Activity and clicking the Favorites button on your screen. The Harmony 300/350 may have up to 5 Favorite Channels assigned to the 1 - 5 buttons in North America, or up to 4 Favorite Channels assigned to the 1 - 4 buttons in Europe (plus a Teletext button). 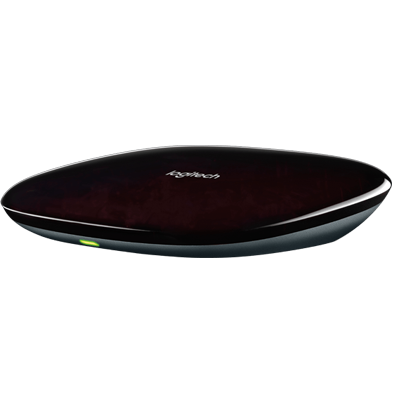 Select your Harmony 300/350 remote from the gallery. Select the that changes channels from the dropdown menu. Enter your Favorite Channel number. 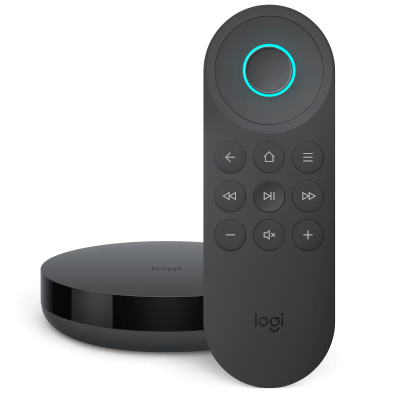 You may access your Favorite Channels by starting your Watch TV Activity and pressing one of the 1 - 5 (or 1 - 4 in Europe) buttons near the top of the remote. Not using an voice assistant?